Don't worry about trying to make time to package up your belongings before moving, let Aire Removals take care of everything for you. We offer a full packaging service from our experienced staff and supply all boxes and packaging materials for you, ensuring that your treasured belongings are packed safe and sound ready for transit. Contact us for pricing details. 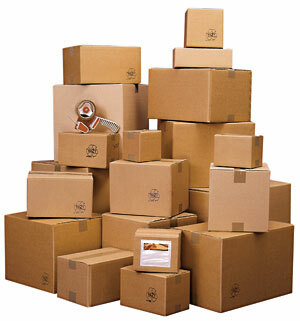 Please be aware that goods in transit packaged by the customer cannot be covered by our goods in transit insurance. We highly recommend you let us deal with your packaging for you so should the unlikely happen and anything is damaged, you can rest assured that you are fully covered. Aire Removals Leeds now have a trade arrangement with the well established secure storage provider Big Yellow. This means we are able to put your all of your belongings into fully secure CCTV monitored storage facilities during our removals work at very competitive rates. 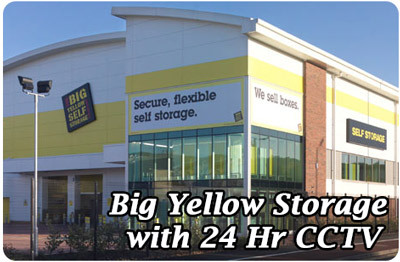 Extra Secure Storage from Big Yellow - Big Yellow Self Storage is the most recognised brand name in self storage. We combine the latest technology with excellent customer service and a network of 76 storage facilities across London and the UK in high profile, easy–to–access locations.